Do you know Negombo? The sound of Yes most of the time is very low. But almost all of the Sri Lankans and foreigners know well the name of Bandaranaike International airport. Does sound good? Yes Negombo is located within 7 km from the airport. Here you can enjoy the best sandy beaches in the world and the world best seafood items. You can never struggle in travelling also it’s near to the Colombo city and you can use air, water, train and road travels also to reach this wonderful place. Negombo is a multilingual tourist place and the town was called as “little Rome”. Most of the people are Sinhalese and there are many other ethnic groups also with majority of Roman Catholics. You don’t need to worry about to plan to visit Negombo. Here you can find plenty of accommodations mainly you can get all varieties of seafood in best quality. It’s a traditional fishing town in Sri Lanka. The Lagoon is part of the much larger Muthurawajawela Marsh and Negombo Lagoon coastal wetland. Here you can see plenty of natural resources like fishes, extensive mangrove swamps and attracts a wide variety of water birds. Apart from the single narrow opening to the sea at its northern end, the water depth within the lagoon is less than 2 m.You can have fishing and boating along with rare view of natural species. 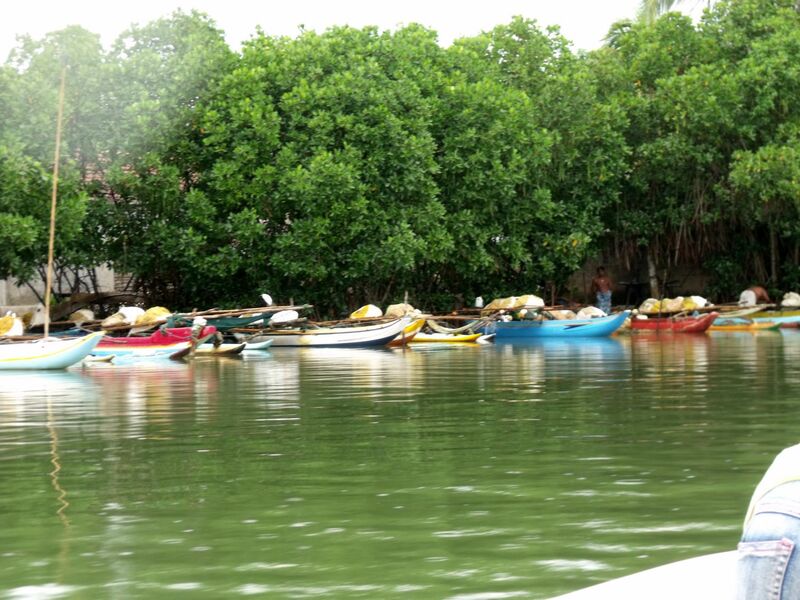 The negombo lagoon supports for many distinct species of flora, fauna and local agriculture and forestry also. Negombo is a beautiful beach resort on the western coast of the island. The wide sandy beaches and the safe sea are the major tourist attractions of Negombo bringing locals and tourists to enjoy a memorable beach holiday. Most of the people love to bath and playing in these beaches. It’s like a brown sandy shore with bluish water. You guys can’t imagine the view until you don’t enjoy that reality. You can find many luxury hotels also. Negombo Beaches are famous for water sports and diving also. Here you must enjoy the beach parties also. Negombo is a traditional fishing town. The fishermen of the Negombo lagoon live in abject poverty in small, thatched palm houses in villages on the water’s edge. It’s the second largest fish market in Sri Lanka. The Lagoon fishes are more taste than sea fishes. Once you enjoy that taste you can’t never tell that sea fishes are the best. Sea fishes rely on traditional knowledge of the seasons for their livelihood, using outrigger canoes carved out of tree trunks and nylon nets to bring in modest catches from September through till April. One of the most distinct tourist attractions in Negombo is undeniably the Old Dutch Fort. This is a structure that goes back to Sri Lanka’s colonial days when the nation was once under the rule of the Portuguese and then the Dutch. The city was encircled by an earth wall. Eventually the landmass on which the Old Dutch Fort Gate was constructed was regularly washed by the sea.You can see there are many Old Dutch buildings in the Negombo Town. The coastal town of Negombo is an area in Sri Lanka that is dominated heavily by the Christian Faith and one of the town’s most important structures is St. Mary’s Church. This holy building is lavish and grand in nature, standing tall amidst other structure in the town. The church consists of three main levels which are immediately apparent when approaching the structure from the front. Negombo is for the night owls who love to party along the beach and for the beach lovers who love to explore the intricacies of a fishing village that has become a place for all night jives and leisurely drinks on the beach with succulent and fresh seafood in plenty. The Dutch, Portuguese and British colonials operated some of their trade from Negombo leaving behind a cultural legacy that has colored the area’s heritage for good. Several hotels ranging from luxury hotels to budget hotels, guest houses and restaurants are available in Negombo. Here you can get all varieties of sea foods in affordable prices. The most interesting thing is here you can enjoy the luxury facilities with local enjoyment. Do you confuse here? Then you must enjoy a night in Negombo Beach Resorts then only you can understand. There are also local handicraft sales on the beaches and the shops near the town. Therefore, Negombo is the traditional fishing town with luxury beach resorts. You don’t need to worry about accommodations, foods and travels. You don’t need to have guide also. Simply you can visit this place without any pre arrangements. Do you ready to pack your travelling bags? Do you enjoy my blog? Let me know through comments below. Very rare known place and thank you for your information about the tourist places. Why Don't You Spend A Day In Kilinochchi?